Amazing Peanut Butter Brookies (half brownie, half cookie) from Crazy for Crust’s new book, Dessert Mash-Ups! You guys know Crazy for Crust, right? I mean, I’ve mentioned her a couple times. Oh . . . . like here, and here, and then this time . . . and this time . . . . I swear I’m not stalking her . . .
Dorothy is one seriously talented baker. 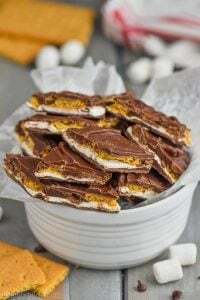 I’ve made a lot of her recipes from her blog, my two favorites that come to mind are this Sugar Cookie Bark (oh sweet holy madness, it’s TOO good!) and this Biscoff Toffee Pretzel Bark (INSANE!). So when I found out that she was publishing a cook book, I could not wait to get my little hands on it! Like so many of the awesome creations on her blog, Dessert Mash-Ups is a collection of creative recipe combos! Like Snickers Cake Roll or Truffle Topped Brownies or Oatmeal Cookie Cheesecake Bars. 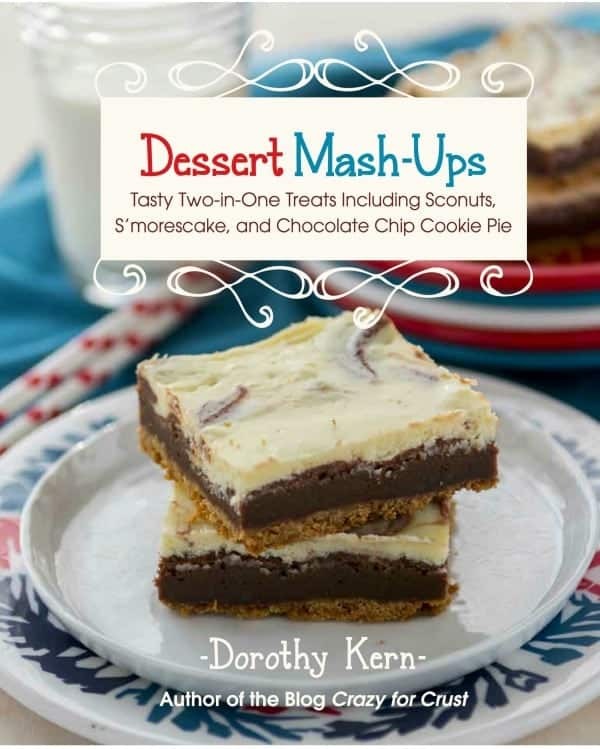 Dessert Mash-Ups is filled to the brim with deliciousness, 50 amazing original recipes, each with its own intro, and drool worthy full page picture. (I just need to pause for one second and say that to say that I’m proud of my friend, Dorothy, is like a huge understatement. She rocks my socks off.) Additionally, you get some pretty fantastic tips on equipment, ingredients, substitutions, storing baked goods, and even a step by step photo tutorial on dipping truffles in chocolate (!!!). From her book I’ve already made her S’mores Cookies and Chocolate Chip Monkey Bread Muffins. Sooooooo good! 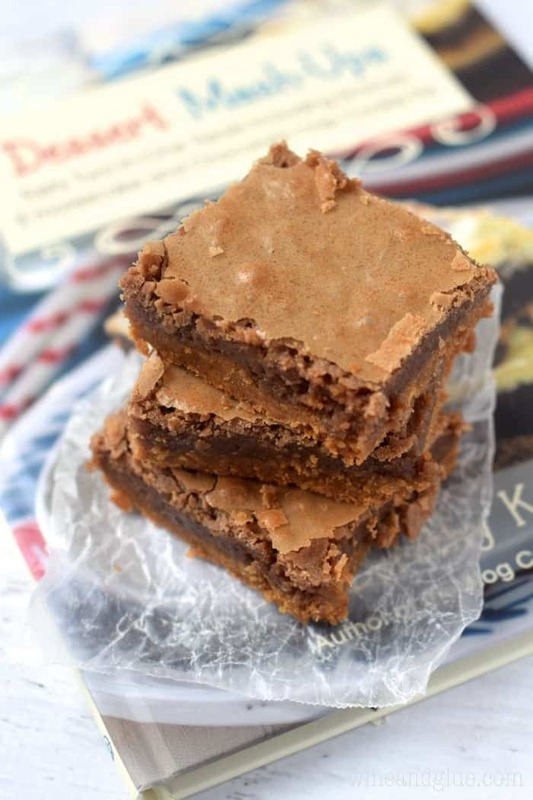 And these Peanut Brookies are just like all the other recipes of Dorothy’s I’ve tried, easy to follow, and totallllllly addictive!! 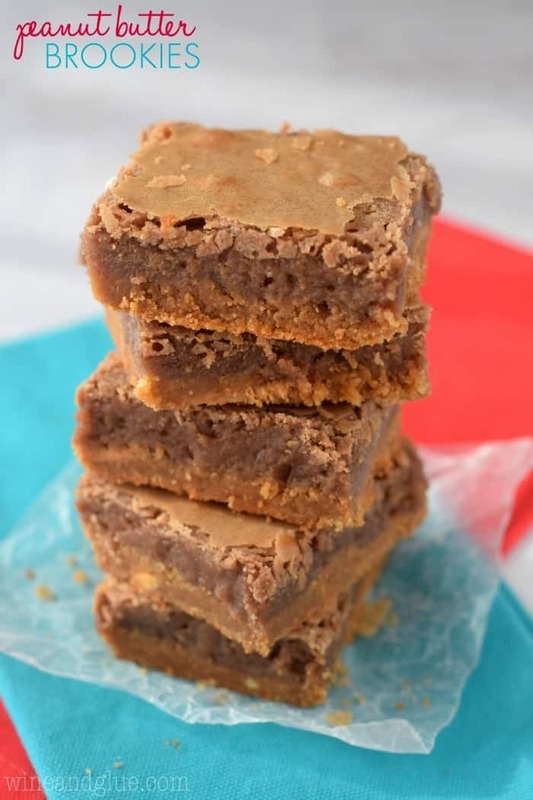 These seriously come together in a snap, and though I was tempted to eat the peanut butter dough by itself before topping it with the brownie batter, I held off . . . . until they come out of the oven, and then I kind of attacked the pan. They are a giant pan of buttery, chocolatey, peanut butter deliciousness, with that amazing flakey finish on top! It was a total mistake to make these on a Friday, because then I had the amazing pan starring me in the eye all weekend before Monday morning rolled around and I begged Nathan to take them away before I finished off the whole pan! So when you buy your copy of Dessert Mash-Ups, make sure this is the first recipe you make! Melt the chocolate and the butter together in a large microwave safe bowl in 30 second intervals, stirring between each one, until it is one smooth mixture. Stir the eggs, sugar, and vanilla into the chocolate butter mixture until smooth. Then gently stir in to the flour. 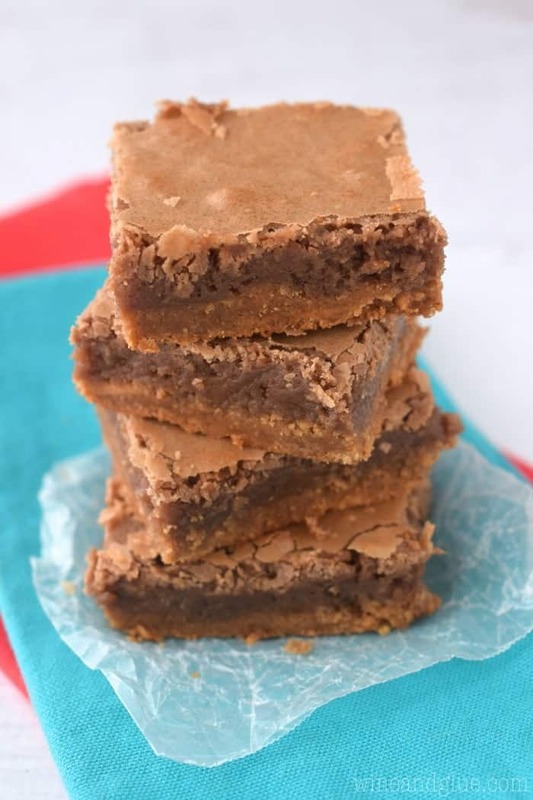 Pour the batter over the peanut butter layer and bake for 32 to 38 minutes or until the edges are slightly cracked. Let it cool in the pan completely before cutting and serving. Dorothy's original recipe calles for 2 ounces of unsweetened baking chocolate, coarsely chopped and 2 ounces of semisweet baking chocolate, coarsely chopped. Since I had all the other ingredients on hand, I used 4 oz of milk chocolate, and it was fantastic! My copy of Dorothy’s cookbook came via Amazon last week! I’ve been flipping through it, trying not to eat the pages. 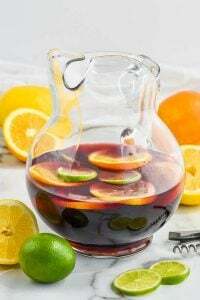 This recipe is one that I’m dying to make. Yours looks great! It comes together so fast! You have to make it and tell me what you think! Her book is seriously awesome! I can’t wait to get back home to bake something! I had the hardest time picking which recipe I was going to make Julianne! I can’t wait to see what you pick! As a serious peanut butter lover, I am SO craving one of these “brookies” to devour right now. 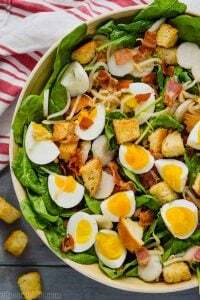 Great recipe and Pinned! Seriously so good Thalia! You have to get Dorothy’s book! These look seriously amazing! Pinned them for later–coming from Sweet Bella Roos! They are amazing, Kate! Dorothy is seriously talented! I just got her cookbook recently and cannot wait to try some of the recipes. 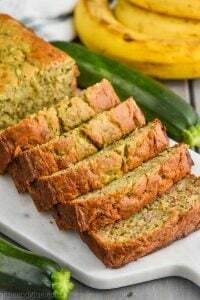 I’m thinking of doing some baked goods to give out during the holidays and a few of her recipes will probably make it to my list of things to make. You are so right, Julie! I think a lot of her recipes will make my list this year! I made them today. Easy to make. Love the peanut butter bottom! I used all milk chocolate, also reduced sugar everywhere. It’s very yummy but not enough of chocolate flavor so next time I’m going to do half and half milk and dark chocolate.